We started pumping operations at 12:45 and the pumping went very well indeed. Everything performed as we had predicted/hoped for and we were shifting the water at over 6 gallons per minute. 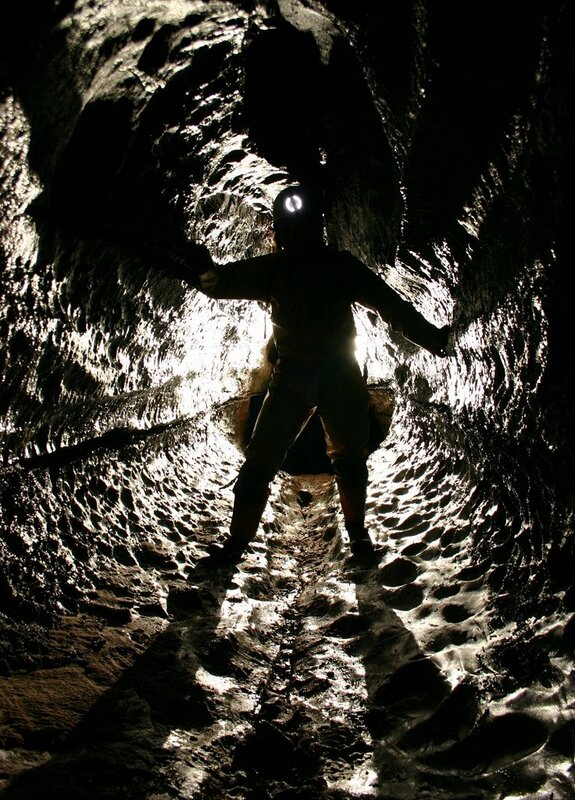 The standard round trip in OFD 1 to introduce feature writer Sarah to the joys of underground exploration. Her article appeared in the Express and Star on Thursday 26th October. Did she enjoy her caving taster trip? Has she been put off for life? 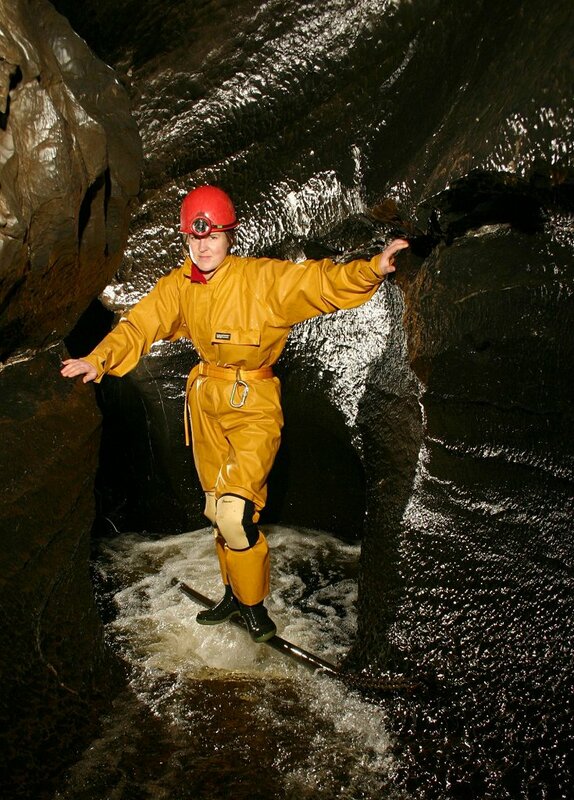 What did she think of caving and cavers? Read the paper to find out! Emma and Sarah at The Step. Sarah crossing one of the pots in the streamway. Keith Edwards on Lowes Climb. 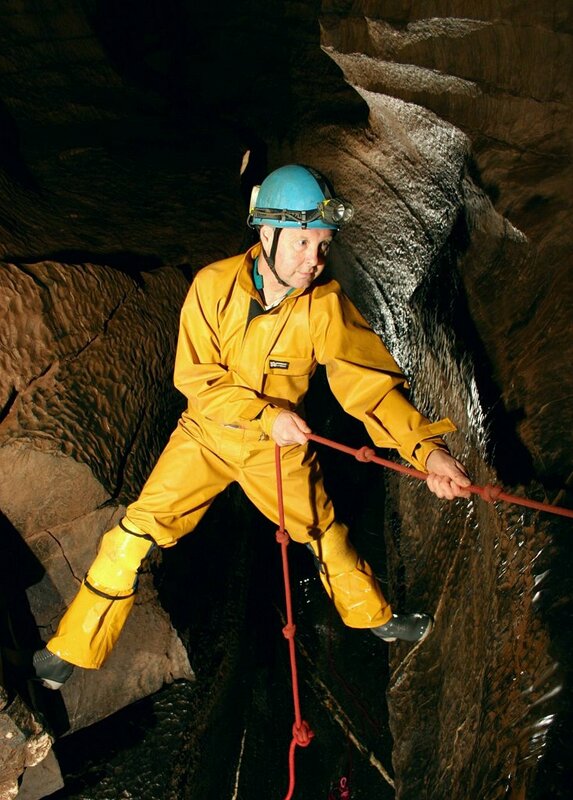 A over-tide trip to the camp beyond the Hall of Thirty for members that had not visited the cave before - so why was Keith on the trip? Well the 4th place was reserved for Jason, but in order to get out of the trip Jason deliberately broke a finger karate chopping a piece of wood. 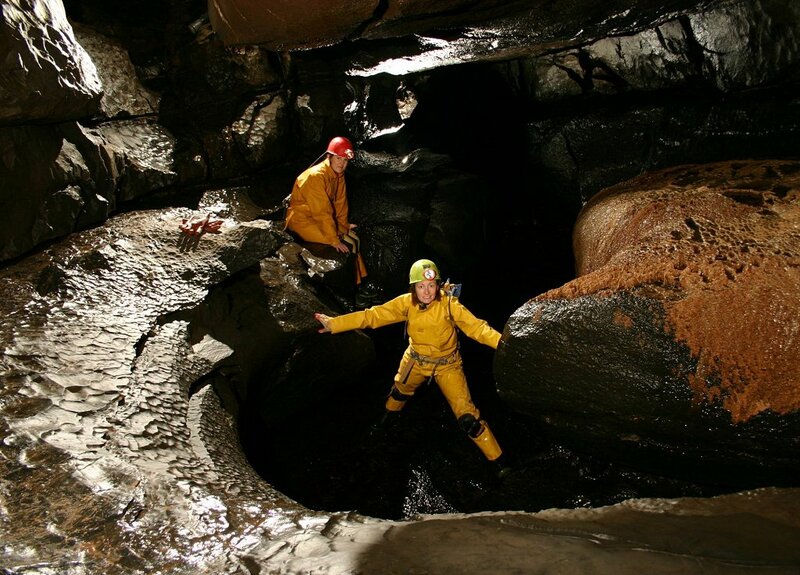 What some people will do to get out of a caving trip. A very enjoyable, but very exhausting trip.